I can hardly wait to see her personality emerge during this next year! 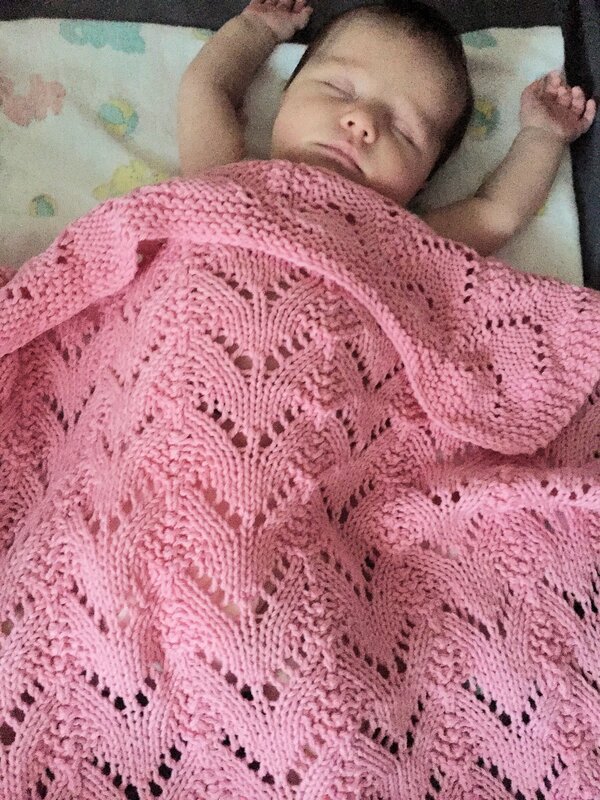 Aria’s mom Shelby (my great niece) shared this recent photo of Aria covered with the Mountain Chickadee blanket (knit in Brown Sheep’s Cotton Fleece) that I knit specially for her. 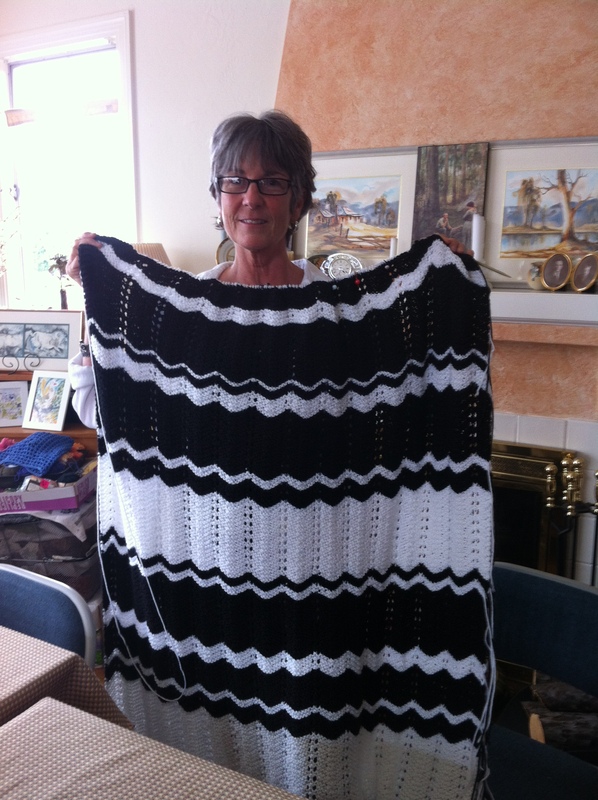 Thank you again to Kimberly for inspiring me with her version of this wonderful design.….and a fun knit. Baby Aria, the first born of our next generation, is now three weeks old this coming Sunday. 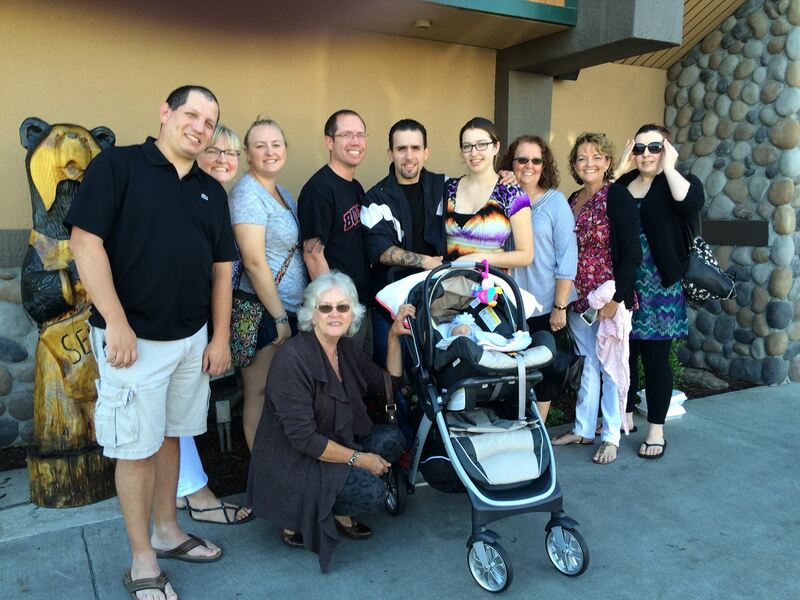 During her first week of life she met many of her family….and, in particular, Aria met her grandma Sundee’s maternal family at a family brunch gathering a week after she was born. This little girl, born weighing 9lbs 2 ozs, is just as cute as can be…..and of course, I am not biased! 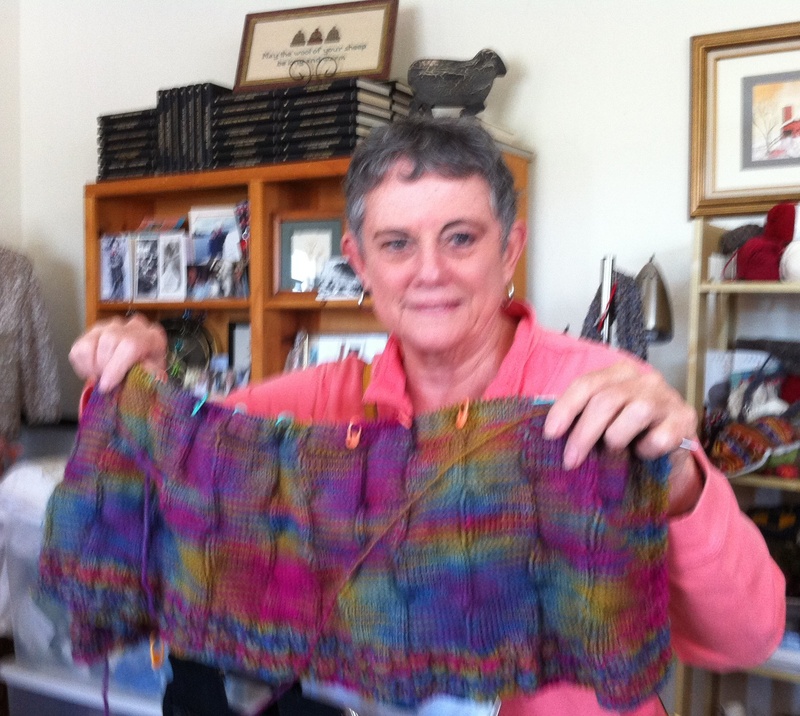 I am inspired to knit many things….and some of them I do. 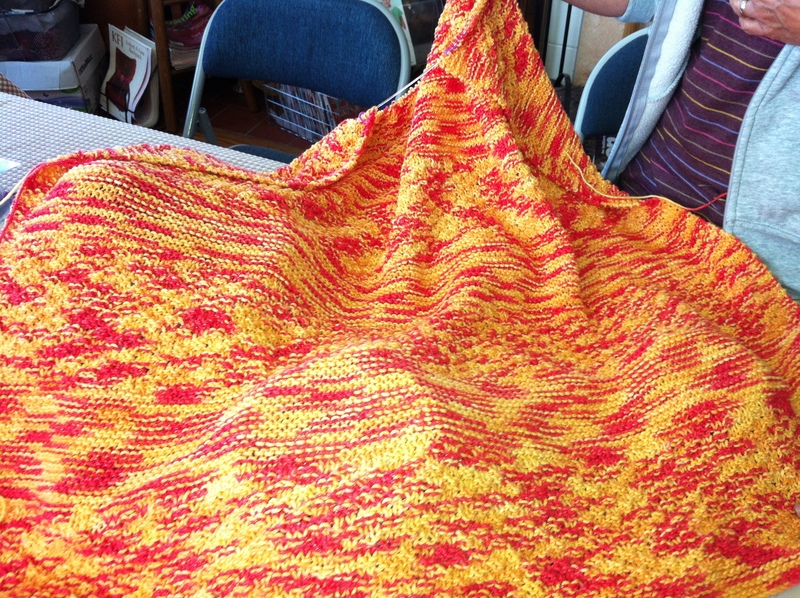 In this case, Kimberly who purchased the Mountain Chickadee baby blanket pattern at Stitches West earlier this year, inspired me with her version of this lovely pattern. “Off” to Ravelry I went to purchase the same pattern. 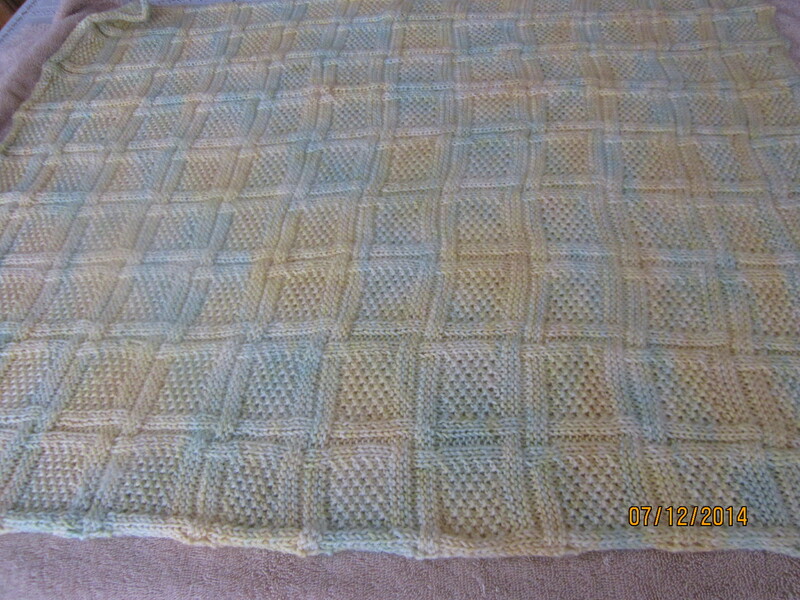 Both of us used Brown Sheep’s Cotton Fleece (80% cotton 20% wool) …..a great easy to care for yarn for new mom’s. 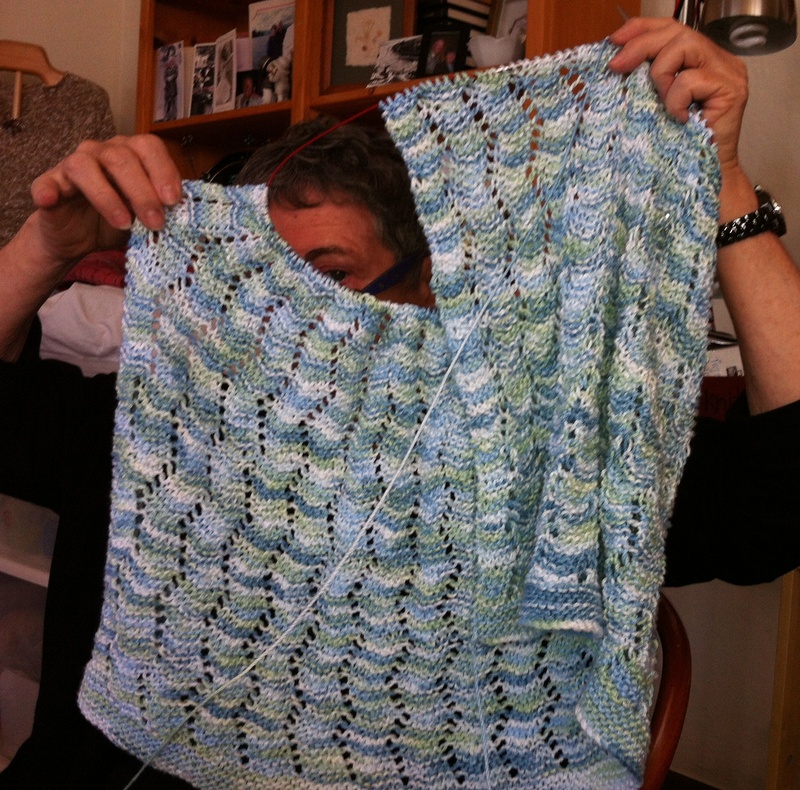 I have a 2-week deadline…..1/3 done….much knitting to do! 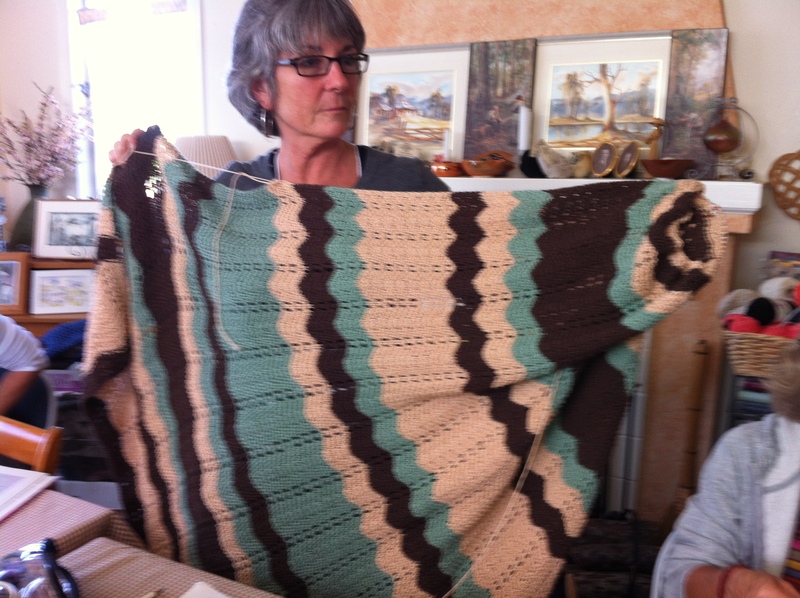 I recall the year I decided to make my grandmother an afghan for Christmas…..made that decision at Thanksgiving and was done two days before. 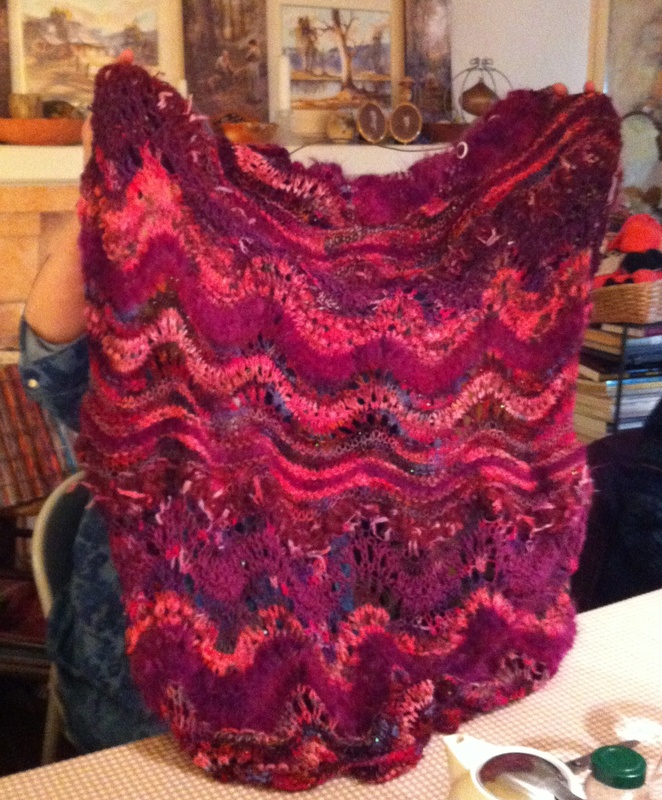 I had more time then….but I know I can make this deadline…..I can and I will by golly!